At the age of 62, Andy and Louise decided to open their own business. 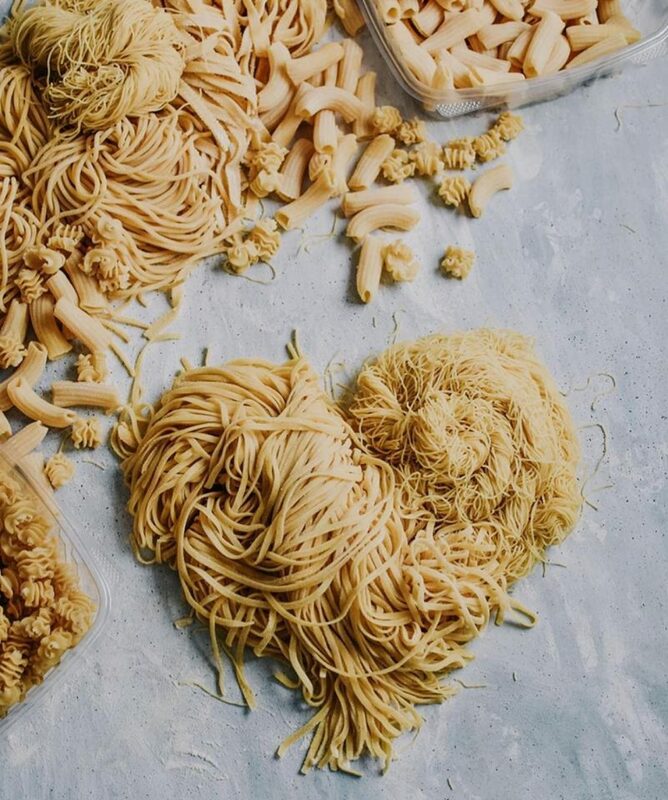 They found a small pasta company in Massachusetts that was closing and purchased all of their equipment. They first opened in November of 1982 in Barry Square. Two years later they relocated to 395 Franklin Ave. where they shared a building with their son Don who owned DiFiore Ristorante. After 14 years they grew out of that spot and moved further down the avenue to their own building. In 2011 Andy and Louise’s son Don and grandson Dan joined the business to take it in a new direction. They moved out of Hartford in early 2017 and now have a beautiful location on route 3 in Rocky Hill. For three generations now the DiFiore family has taken pride in providing our customers with the highest quality specialty foods possible. Our well trained staff works hard each day to make sure each batch of our homemade sauces, pastas, ravioli, and prepared foods are perfect. Our pastas and ravioli are made from the best durum and semolina available in the US. We use a higher fat content ricotta cheese called impastata to give our ravioli a smoother creamier texture. We use solid brass dies so that our extruded pastas have the perfect sauce holding texture. We make sure our staff is knowledgeable about our products so they can answer your questions as best as possible. It’s because of things like this that we were voted Connecticut’s Favorite Small Business of 2014.